Nucl. Phys. At. Energy 2015, volume 16, issue 4, pages 421-425. Received: 10.09.2015; Accepted: 10.12.2015; Published online: 12.02.2016. Abstract: Monitor-interrupter of accelerated ions beam is used in the backscattering standard scheme. The procedure of the thickness measurement requires getting of two spectra now. First spectrum is obtained for investigated target and second one for the target, which imitates a thick substrate. The monitor-interrupter system ensures the same expositions for both spectra. If the substrate is from the same chemical element as the investigated target, the formula for the thickness calculation is simplified. The method is applicable for both self-supporting films and surface layers. Keywords: backscattering, monitor-interrupter, self-supporting film, surface layer, imitating substrate, thickness. 4. M.V. Artsimovich, I.F. Mogilnik, V.I. Soroka. 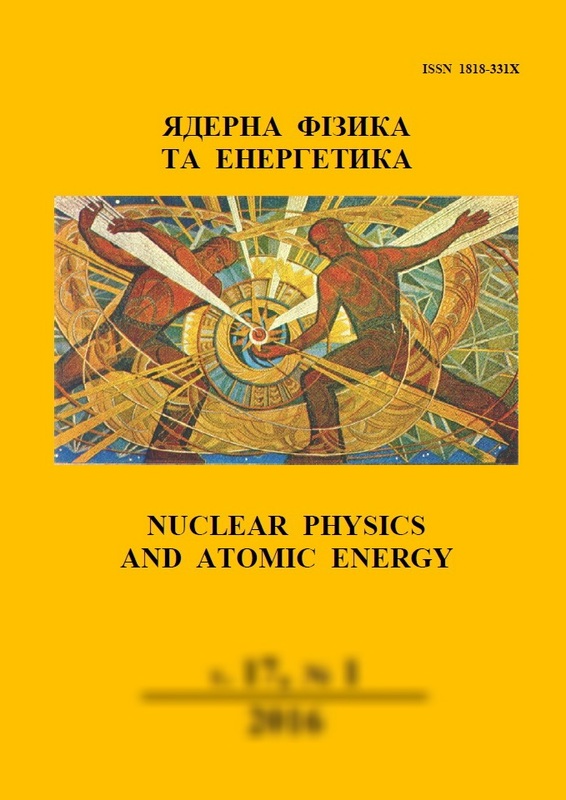 The measuring and calculating complex “Kanion” for researches in the field of the applied nuclear physics. Preprint KINR-97-8 (Kyiv, 1997) 18 p.